Decking & Landscaping company based in Bury, Lancs, small family business that has been trading for over 13 years. 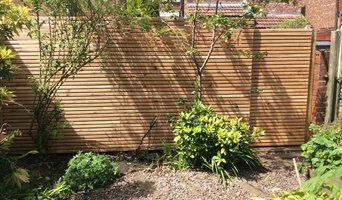 We also supply Slatted Screen Fencing in both Western Red Cedar & Siberian Larch. A reputable family business with 20 years experience, situated in the heart of Cheshire. Private, commercial and industrial contracts are undertaken and completed to a very high standard by a skilled team. All our staff have achieved their level 2 Diploma in fencing and are CSCS accredited. Strike Fencing has gained a reputation for reliability and the high quality of its work and therefore many of our commissions are by recommendation. We have full public and employers liability insurance and comply with health and safety regulations. Additionally we are members of EFIA (European Fencing Industry Association) and CHAS (Contractors Health and Safety Assessment Scheme) accredited. We supply and install Automatic gates, parking barriers, bollards, access control and CCTV for new and existing properties throughout the UK. We are specialists in ALUMINIUM gates which are low maintenance and we offer Contemporary and modern styles and have a Cheshire based showroom. 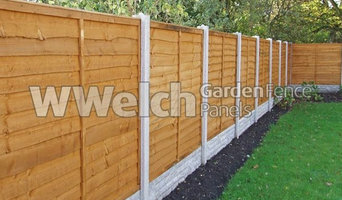 Established in 1971 Welch Fencing Ltd is a family run business based in the North West, with a reputation for excellent quality and value for money, which has now developed into a major independent manufacturer and supplier. Supplying a large range of fencing products to the public, trade, industry and local authorities our friendly, professional staff and fleet of well-maintained crane operated vehicles provide a fast, reliable local delivery service at great value, competitive prices. This service has now been extended nationwide on all products available from our online shop. Liverpool Fencing is one of the areas most experienced companies, having gained the groundwork’s experience and knowledge over the years. Liverpool Fencing believe strongly in understanding the needs of the customer and the business is developed specifically to meet those demands. Liverpool Fencing aim is to work closely with our customers, project managing and working to tight deadlines, helping you keep within your budget and offering the appropriate advise and products for the job. All our staff are Health & Safety compliant and receive on-going training as standard. Curran Fencing was born in 1979 and traded out of a trusty black briefcase and a small lock up yard in central Stockport. The founder, Brian Curran and his wife, Linda ran the business from the dining room table whilst also juggling the demands of raising a young family. By 1982, business had grown significantly that a more permanent premises was sought and Hawkins Street Trading Estate became the official home of Curran Fencing. In 1988, Brian’s son, Stephen, joined the business after leaving school and was thrown in at the deep end learning all aspects from erecting to manufacturing and estimating to ordering so he could become Brian’s right-hand man and eventual successor. Since then, there has been a lot of change and a tremendous increase in the size of the business. Brian was at the helm until September 2014 when he decided it was time to hand over the trusty briefcase to his son, Stephen. We still trade from the same premises in Reddish today and have been there for over 30 years which is testament to our excellent reputation as a local family business delivering a first class service. We’re proud of our roots. We supply and install a range of traditional and contemporary timber fencing and gates for domestic properties as well as high level security fencing for commercial businesses and schools and colleges. We also stock a range of fencing panels, posts, aggregates and supplies for DIY customers and Trade. Fencing AC fencing in Huddersfield offer a full range of garden fencing services that provide the best installation and use quality materials to make your dream garden a reality. With over 12 Years experience we can build fences to suit all styles of property, from traditional to contemporary.You can count on AC Fencing for high quality workmanship and a finished fence that exceeds your expectations. We can even carry out maintenance and repairs to broken railings, panels and posts. Decking We provide a personal service that makes the experience of designing and constructing a timber deck as effortless as possible. Our decks are planned and designed exclusively to your individual needs and at realistic prices.We offer a free design and quotation service with no obligation. Whether you want a dining or play area, somewhere to entertain or relax, or an affordable way to hide unsightly surfaces and steep slopes, we can design a solution. We build anything from small single level decks and roof terraces to large multi platform suspended projects with built in eating areas.You can rest assured that the materials we use are of the highest quality, offer value for money and are easy to maintain. We supply and install a range of Colourfence garden fencing in plain or trellis style in four colours where you can mix and match to your creative delight. Be conservative or outrageous, the choice is yours, we help you through every stage of the process with customer satisfaction at the forefront off everything that we stand for. We provide a no obligation survey and promise a no pressure experience. Wrought Iron Gates Direct are a leading supplier of high quality gates, fencing and railings that are suitable for any residential application. Manufactured to high standards, our range of simple and more ornate designs are sure to catch your eye, provide added security and improve privacy all at an affordable price. 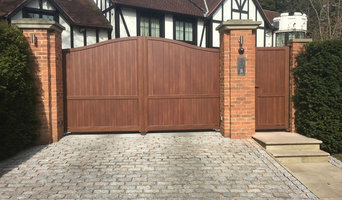 Village Gates Ltd are manufacturers and installers of wooden gates and gate automation. We pride ourselves on attention to detail and good honest service. Garden Fencing to be Proud Of........ We believe that Colourfence is the best garden fencing product on the market today, and not only is our product great, our service is too. We give you attractive fencing that remains fit for purpose without costly and time consuming annual treatments, guaranteed for 25 years. Our durable garden fencing panels are guaranteed not to rot, warp or peel for 25 years and can withstand wind gusts up to 130mph giving you real peace of mind whatever the weather may throw at us. We offer a free, no obligation design, installation & quotation service. We do not employ high pressure sales tactics but leave you time to consider the prices we have quoted at your leisure. Style - available a range of colours and designs to compliment any garden environment, both sides are identical making Colourfence the most attractive garden fencing solution for you and your neighbour. Low Maintenance -Colourfence never needs treating or painting, just the occasional hose down to keep your fence looking as good as new. Durable - manufactured from Zincalume high tensile steel and is fully engineered to be light weight yet extremely strong and durable. Secure - in heights of up to 2.1m, wuth a unique design that locks the panels into the post and rails. We have a full range of lockable gates too. Value – we cannot and do not try to compete on price with inferior lap panel installations but a Colourfence fence can cost you less than you might think and has no ongoing maintenance costs. Ace Gates is a family run business based in Stoke-on-Trent and was established in 1988. The business provides a free quotation, in the North Staffordshire and South Cheshire area, design and manufacture, fitting and after sales services. The same applies to gates, which are even harder to build and install yourself, unless you are a practised carpenter, craftsman or builder. So if you want one-of-a-kind fence and gate designs that can be fitted by professionals, or perhaps just fence repair, then you should take a look at the Timperley, Greater Manchester, UK gate manufacturers and fencing contractors listed on Houzz. With Houzz you can browse through gate manufacturers and fencing contractors in Timperley, Greater Manchester, UK to find a professional to work on your project. Check reviews, recommendations, ratings and photos of their previous work to decide if you want to contact them about your fence or gate. Gate and fencing contractors in Timperley, Greater Manchester, UK will be able to advise you on the best materials to use and how to look after your fencing. Aside from designing, building and installing your fence or gate, a specialist may also offer fencing supplies, materials and fence repair services which will help you maintain your bespoke fencing and gate designs. 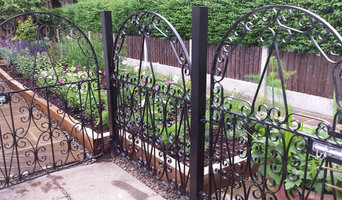 Whether you are looking to build a traditional wood panel fence, commission an elaborate wrought iron gate, want a quaint white picket fence or a large, electric gate to shield your home from public view, you’ll be able to find Timperley, Greater Manchester, UK gate or fencing contractors on Houzz that have the specialist expertise to carry out the job. You may find that gate and fencing contractors also work closely with lawn and landscape professionals. Here are some related professionals and vendors to complement the work of fencing & gates: Wrought Iron Workers, Decks, Patios, Sheds & Summerhouses, Cladding & Exterior Contractors, Landscape Contractors, Landscape Architects & Garden Designers. If you already have some garden fencing ideas or even gate designs, then discuss these with your potential fencing contractors to see if they can become a reality. 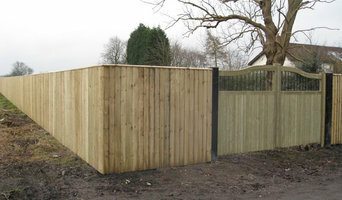 You may find they have to be tweaked slightly, perhaps due to budget, space or Timperley planning restrictions, but good fencing contractors will be able to come up with a compromise to meet every need or constraint. Find gate and fencing contractors on Houzz. Narrow your search in the Professionals section of the website to Timperley, Greater Manchester, UK gate and fencing contractors. You can also look through Timperley, Greater Manchester, UK photos to find examples of fencing and gates that you like, then contact the contractor who worked on them.